In my mind, there are so many pros by working here, but first, you need to have a willing to work hard. If you are not willing to deal with the (obvious) hard-work of customer service or value how Wegmans operates, you should not work here - because there is a 99.9% chance you won't like it. (This is mainly towards teenagers for a first job - I have met and seen many of you with the 'I don't give a f, and I hate Wegmans attitude, so do us all a favor and just quit if you have that mindset. Sorry, but someone has to say it). For college students, and graduating high school students, the Wegmans Scholarship is one of the largest pros that you can have. Besides the money factor, Wegmans really strives to help you accomplish your goals, even if it is not in the future of the company. I believe that this is a great way to 'keep' your people, while also helping them pursue higher education - and keep the great reputation that Wegmans has. The opportunities that you (can) have. 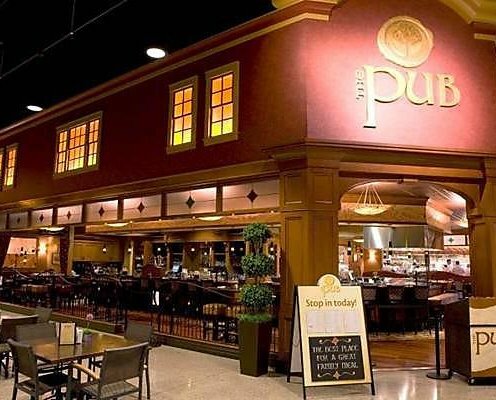 Since Wegmans is always moving forward, especially with building new stores in new states, your chances of 'going up' in the company has never been easier. I have seen many people advance in their situations, such as from dishwasher to sushi or from cashier to FE Manager, the opportunities are endless, it's just if you want it. Overall, the largest 'Pro' that I can think of is the family atmosphere. I truly believe that is why I come back, and why (many) people do also. The People, the atmosphere - you really can't get any better than that. Overall, Wegmans is a GREAT place to work. I see individuals who have worked there since they were 15/16 and stayed there, just because of what Wegmans values - showing how dedicated employees are to the company AND why we all want to shop there. As an extra note, who DOESN'T want to work at a company who is always on the Fortune's 100 Best Companies to Work For!?! It is really hard to move departments if you are in college, especially in a 4-year college (locally or away). I respect the people who go to a 2-year and work during the school year, but for those individuals who want to pursue a degree in a 4-year school, we should not get 'penalized' for not working, and should give us some lenience if we want to switch departments. I have heard for many full-time employees that the benefits are tough to get, and the full-time employment opportunities are slim. Dear Wegmans, I know you like part-time, but not all of us want that. Yes, you have to give up some more extra money, but in the end, you can't rely on all Part-time employees. That's never going to happen. Elmira Pet Products Ltd. is a manufacturer of pet foods in Elmira, Ontario Canada. They produce a range of private-label and branded cat and dog food that include; Therapeutic Diets, Holistics, premium, mid-range and price sensitive formulas.